The twentieth-century Mexican Miracle, which solidified the dominant position of the PRI, has been well documented. A part of the PRI's success story that has not hitherto been told is that of the creation of the welfare state, its impact (particularly on the roles of women), and the consequent transformation of Mexican society. A central focus of the PRI's welfare policy was to protect women and children. An important by-product of this effort was to provide new opportunities for women of the middle and upper classes to carve out a political role for themselves at a time when they did not yet enjoy suffrage and to participate as social workers, administrators, or volunteers. 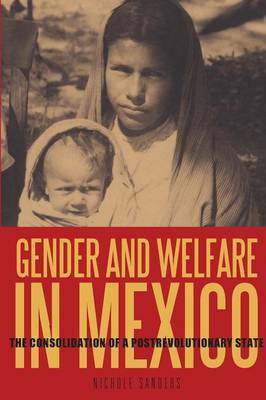 In Gender and Welfare in Mexico, Nichole Sanders uses archival sources from the Ministry of Health and Welfare and contemporary periodical literature to explain how the creation of the Mexican welfare state was gendered--and how the process reflected both international and Mexican discourses on gender, the family, and economic development.